It was exactly 110 years ago, on 12 March 1905, that Takashi Shimura (1905-1982) was born. The actor, best known for his various roles for Akira Kurosawa, remains one of Japan’s most famous faces of his generation. Shimura made his first appearance for Kurosawa in the director’s debut film Sanshiro Sugata (1943), and went on to appear in all but three of Kurosawa’s works up until Red Beard (1965), making him the actor whom Kurosawa most often worked with. The three films that Shimura was not part of during this twenty year period are Sanshiro Sugata Part II (1945), One Wondeful Sunday (1947) and The Lower Depths (1957). Shimura was later also written a small part for Kagemusha (1980), which was sadly cut out of the film’s shorter, international version. Coming from a theatre background, Shimura offered Kurosawa a fairly wide spectrum of performances, ranging from the weak but well meaning (e.g. Attorney Hiruta in Scandal, the woodcutter in Rashomon) to the wise and magnificent (e.g. Detective Sato in Stray Dog and Kambei Shimada in Seven Samurai). Shimura’s arguably finest performance was his lead role in Ikiru (1952) as the newly determined but dying bureaucrat Kanji Watanabe. 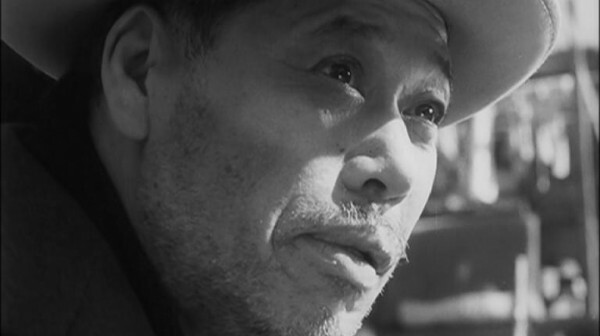 Following the 1955 Record of a Living Being and the actor turning 50, Shimura’s roles under Kurosawa gradually became smaller and less prominent. Outside of Kurosawa, Shimura appeared in over two hundred other films during a film career spanning almost 50 years. These included roles in Ishiro Honda’s Godzilla films and Masaki Kobayashi’s Kwaidan, as well as five Mikio Naruse films and two by Kenji Mizoguchi. However, for the most part Shimura’s contributions in these films were in smaller roles than in Kurosawa’s. Which one is your favourite performance by Shimura?